Our group of talented professionals, led by Brian Ahlberg, are available for private lessons, juniors and adults, groups and camps. More information below. With a lifelong passion for tennis, Brian has tons of experience as a player and as a coach. 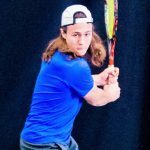 Before coming to Davisville, he was head tennis pro at The Supreme Court, where he will continue to teach during the winter season. Prior to that, he was a private high-performance coach at the North London Optimist Tennis Centre in London, Ont. ; head tennis pro at Winston Churchill Park Tennis Club, and tennis pro at The Boulevard Club, both in Toronto. Brian also has top instructional credentials, including being Tennis Canada Coach 3 certified, and lots of experience as a competitive player, including being a three-time Canadian national senior champion, rating as high as fourth in the world ITF rankings in the men’s over-35 category, and representing the Canadian World Team in international competition. Over the last 11 years, Brian has coached players of all ages and levels, from juniors to adults, beginners to national champions and NCAA players. 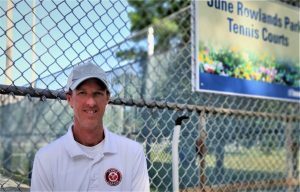 This season, Brian plans to offer a variety of instructional adult and junior programs suitable for all levels of play, as well as be involved in all that Davisville has to offer, from clinics to tournaments to social tennis events. We look forward to a great season with Brian as our pro! “I began playing tennis at the age of 13, and quickly chose to turn in my skates for a racquet! Since I picked up the sport later than most juniors, I always had a great appreciation for learning the game and wanted to share that with others, which is what brought me into coaching. I am passionate about sharing my knowledge with others and helping people improve! 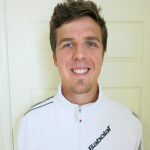 I am currently a Tennis Canada Club Pro 1 certified coach and have been teaching the game for over 10 years. I’ve worked at many clubs in the city, including Winston Churchill Park Tennis Club and Toronto Tennis City, where I was working with the ACE Academy. I’ve coached a wide range of players, including juniors as young as the age of four, competitive provincial OTA players, and adults at many levels. I look forward to meeting many of you on the courts, and I hope to be able to help you take your game to the next level! “I started playing tennis when I was 12 years old in the suburbs of Montreal. I fell in love instantly with that beautiful sport, and I started taking lessons to improve my game. When I was 14, I started competing in provincial tournaments, and realized the work I would have to put in to achieve the level required to win matches. This hard work paid off as I was able to make it to the top 20 in the province, and I ended up playing in the NCAA. This year, my team won the conference tournament and I was named Second Team All-Conference.